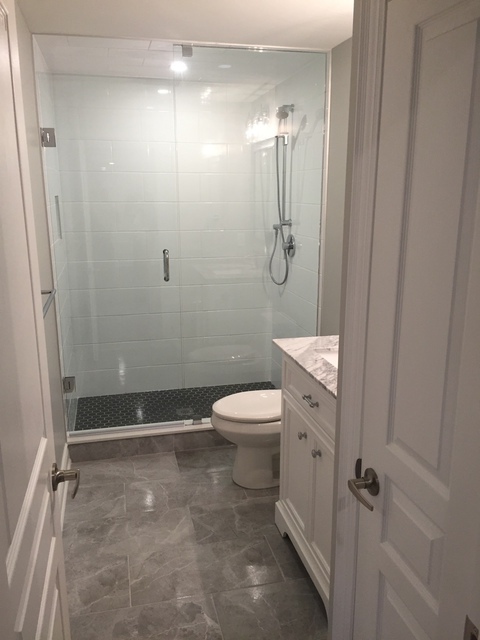 We contacted Krys Construction for a quote on our basement renovation. After meeting a few contractors, we decided Krys was the best fit. His quote was higher than other quotes that I had received but it was the most complete. Other contractors seemed to have all kinds of hidden charges, and we thought Krys did a great job of letting us know where we could see additional charges (i.e. more tiles, better floors etc...). Schedule was also really important and we got that upfront, which I really appreciated. We let Krys know that since I'm on mat leave, we didn't have the budget to finish the basement and he adjusted his quote to get enough finished so that it was usable, while fully finishing the basement bathroom. Krys' trades are incredible, they are friendly, efficient, professional and clean. Friends who looked at our basement were thoroughly impressed with the work. 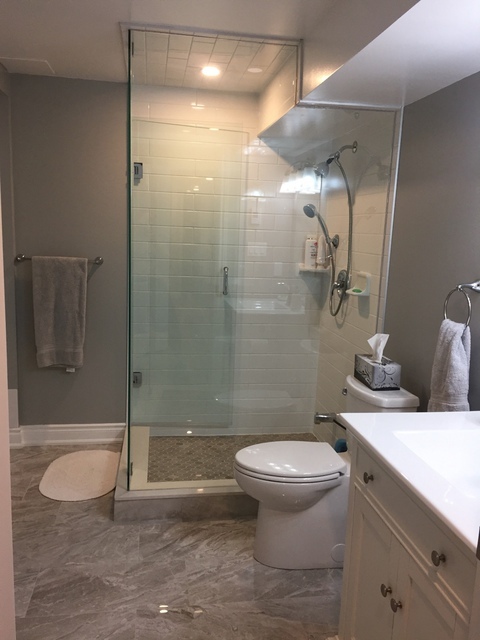 Having done a previous large renovation that was super stressful, I was a little skeptical but Krys and team exceeded my expectations - I was so happy with the work daily. Two really great inclusions were duct cleaning and project cleaning - I think this is such a great way to put a bow on everything before turning over to the homeowner. A few cons: Even though we had a schedule, we had a few days with unscheduled work. Our project schedule was aggressive and finished a few days late. Krys was quick to address the unscheduled work which was great and he was very upfront about the work that needed to be rescheduled. We still had a few construction things on the floor when the cleaning person came so unfortunately, we're going to have to clean floors again. Also there was mud on our stairs that didn't get removed. With our partially finished basement, we tried to address the items that were in scope vs not up front (i.e. no trim, no stairs, no paint) but there are some grey areas. The only item that took me by surprise was a door to our storage room that I thought was included since it was on our plan but isn't. We're paying a little more to get that door. Most people reading this, I'm sure will be finishing their project so these last few items won't be an issue. Overall, I've already recommended Krys Construction to a few friends and they will be the first contractors I contact for future work. It was easy to get in touch with Krys and very easy to work with. I'm so happy we found Krys Construction! 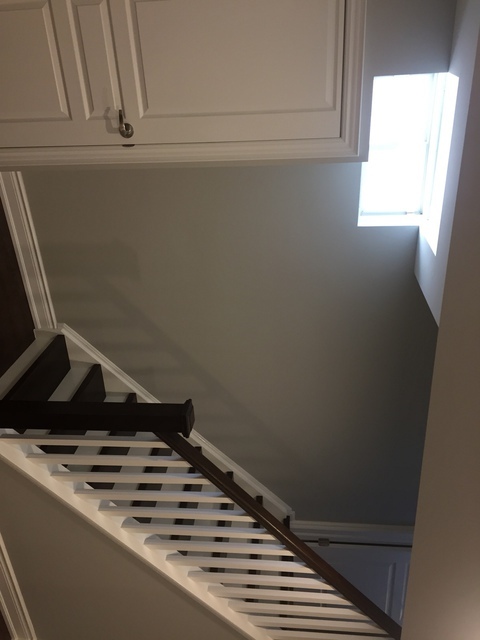 Krys and team recently completed by basement renovation. I'm extremely happy with the quality of work, everyone that worked in our house was a true professional. I am really impressed with the way they scheduled each day prior to starting the work, and then stuck to the schedule and budget exactly. Would highly recommend using Krys Construction. It has been a pleasure to work with Krys and his Team. Krys was there every step of the way. He has a great work ethic and has high standards for customer satisfaction. Will Krys and his Team work at my home again....ABSOLUTELY!!! Looking forward to the next project Krys. Thank you. The workmanship was outstanding. 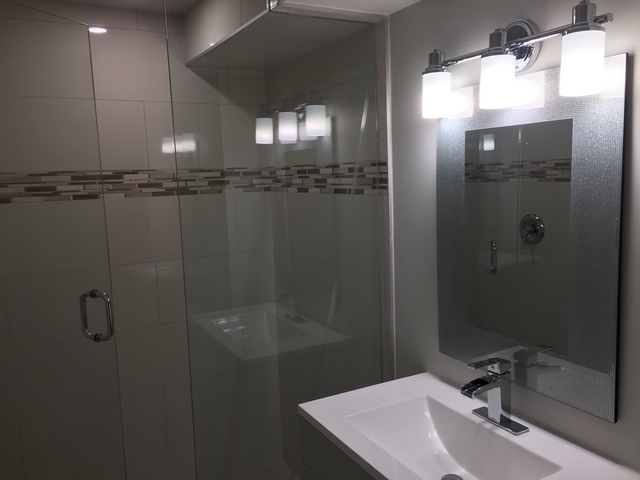 Krys and his team were courteous and professional throughout the project which was completed a week early and on budget. There are no surprises with Krys and we would recommend him to anyone that has a home renovation project of their own. Thank you David.Enjoy your new space!!! Extremely efficient and stuck to the itenary which was important for us. Highly recommend his Company. Krys Construction guided us through an complicated and lengthy process to make our basement into a lovely modern apartment for my Mum. Krys and his crews did a great job working with us to understand our specific needs in designing and executing an apartment to suit my elderly mother's needs and tastes. There were many regulatory snags with the city and nasty surpizes left from previous owners DIY renos. We really appreciated Kry's patience and steadiness through these rough patches. 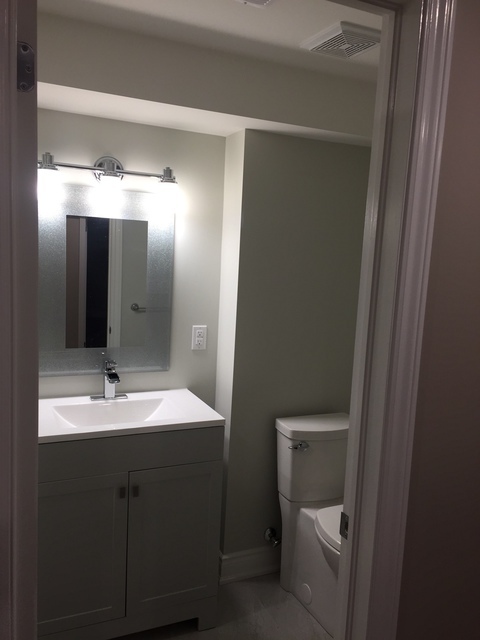 A fantastic job was done on the framing, electrical, plumbing and painting. My Mum could not be happier and we have added a huge asset to our home for the future. Krys did all this at a very reasonable cost and we felt supported throughout this difficult 6 month project. Thanks Krys and all your excellent sub-contractors! Krys and his team finished my basement back in September 2018. We are extremely pleased with our new basement! The whole experience was very positive. The fact that I had a permit for the job did not phase Krys one bit. The other contractors I'd interviewed made me feel like getting a permit was unnecessary and left me feeling that I was paying for that decision - literally. Everybody's price went up as soon as I mentioned permit. Krys was not phased. After we met and discussed my project, I was given a contract that laid out in detail all that would be included in the job according to my specifications. Before the job begun, I was given a schedule of what would be done and when it would be done. I didn’t have to pay any money upfront and I was given a payment schedule that span the whole project. This made total sense to me. I’d pay an increment after a job was done and another increment after the next job was completed and so on according to the work and payment schedules. No surprises. No changes. What a team of trades Krys has working with him! Every trade that came into my home was friendly, polite and professional. And what clean contractors. They all cleaned up after themselves. My basement was never left in a mess at any point throughout the renovations. Everyone did quality work. The project was kept according the established timeline. Krys was always available via phone or text if I had a question or concern. His dad who breezed in now and then throughout the project to do this and that was the icing on the cake. I'd recommended his team to anyone. Thank you Novellete!! Was Pleasure to work with you and enjoy your new space! Krys was able to finish our basement beautifully in a month, done by Christmas. He was able to put it together with all the elements we needed for a great price, and I cannot recommend him highly enough. I will absolutely be going to him if/when we have any other house projects to get to. This is a basement I will be super comfortable in and happy to show off to people -- we've already had a houseguest stay down there (in December) and she was comfortable and very happy with the space. I am absolutely delighted with Krys and will continue telling everyone about his services. I contacted Krys Construction for a quote on a basement renovation. After interviewing many contractors I knew Krys was the person for the renovation. I had a very good feeling about Krys, and his quote was in the middle. With hearing so many horror stories of other contractors who required payment upfront and then disappeared I was pleasantly surprised to find out from Krys that payment was done as the job progressed. A few weeks before the work began Krys sent out a schedule of work to be performed and on what day. All of Krys's construction team were very professional, polite and cleaned up their work area at the end of the day. I enjoyed listening to the workers who whistled and sang, as I know they loved their work! Construction was on budget and finished on time (6 weeks). Krys was always available to contact and address any concerns. 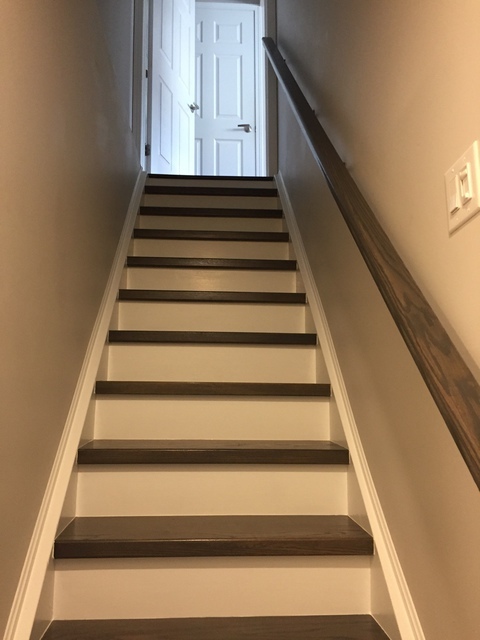 The end product of our finished basement was beyond our expectations and satisfaction (and I have very high expectations). We are very happy to recommend Krys Construction. When the time comes I will be contacting Krys for a kitchen update and a new deck. Thank you Krys and his team for a transforming our basement into a great comfortable warm space, efficiently and stress free. Proper construction methods are never optional and home owners have the right to ask questions. 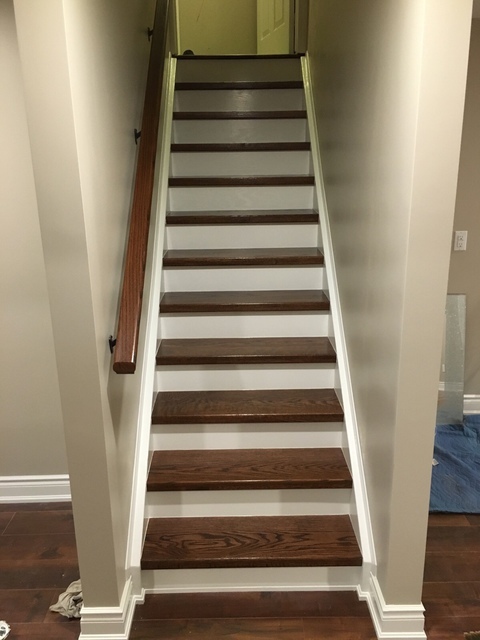 Krys Construction knows the Ontario Building Code (OBC) and gurantees a clear walk-through any rennovation. We draw awareness to potential issues. For example, a rennovation with exposed concrete walls and floors can create moisture and cause mildew and odors. With proper construction methods this can be avoided. "Sketch out your ideas". Always build with the same quality as the rest of your home and sketching your options can be useful when explaining things to a contractor.